Western Cape produce is about the best in the country. Here you will find organic produce, and market produce offered to you directly from local farmers. The country is also blessed with a fantastic coastline for crayfish, shellfish and other types of seafood enabling you to have a choice of fresh fish. It is also a province that produces some of the world's best wines, whether your palette prefers white of red, frequent visits to the many wine routes in the area will soon determine which ones you like best. The main wine routes are those for Stellenbosch, Paarl, Wellington, The Worcester's Winelands, Robertson and Franschhoek. All of these wine farms can be visited on a day trip from Cape Town, although Stellenbosch and Paarl are the closest. The Stellenbosch Wine Route is the oldest, being about 30 years old now, and has some 40 cellars to vist for some wine tasting and purchasing. No matter which route you take, you will taste some truly fantastic wines and experience stunning scenery along the way. 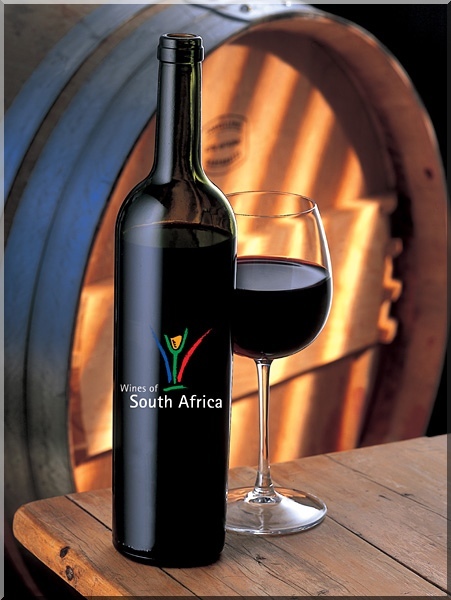 Western Cape produce found at these wine estates does not consist exclusively of wine! Many wine estates also sell farm-made cheeses, eggs, organic produce, jams and preserves and host the most wonderful restaurants. With its sweeping views of the Helderberg and False Bay this is a beautiful wine estate which is also over 300 years old. A mini-bus is at your disposal taking you to the cellars and to the wine tasting room, and around the homestead and gardens, or lunch at one of two restaurants so you can taste firsthand the Western Cape produce that has been grown locally. Or, if you feel you would like to have a picnic in the grounds, there is the Camphor forest. Picnic baskets are available from the tennis pavilion at the Rose Garden. If you like red wine, this estate's Merlot is one of the finest. The Western Cape region also includes the more rugged areas of the Western coastline. The further north you travel the more arid the landscape becomes. Be careful not to run over the many tortoises on the road that you will find while driving in this area. Western Cape produce can be found on the side of the road and bought from farm stalls, farm shops, or through farm gate sales. Buy local agricultural produce and not only save yourself some pennies, but you are also guaranteed fresh farm produce picked that day. Our most memorable day in the Western Cape was going down to Hout Bay in the morning to the crayfish factory and picking up some cheap crayfish. We then bought some sweet strawberries from a local farm stall on the side of the road after visiting Boschendal Wine Estate. That evening we feasted on mouth-watering crayfish, washed down with an excellent white wine, and finished with the strawberries. Truly, a wonderful meal all collected on our day's outing and a triumph for Western Cape produce. For additional information about the Cape region Western Cape Farm Holidays, Eastern Cape Farm Holidays, and Northern Cape Farm Holidays will all give you an idea of what to see and do in the Cape. We also have a few selected guest farms in the area that offer farm accommodation. See Western Cape Guest Farms, and Eastern Cape Guest Farms for further details. Are you looking for posters on the Western Cape? Perhaps a wine farm, fruit or vegetable posters for your kitchen or something else? Search here for the biggest collection of posters on the Internet. If you can't find it here, you can't find it anywhere! If you would like to advertise your South African farm for free because you need some help on the farm to pick those crops, or whatever, see our section on farming jobs worldwide. Or, if you want to advertise your farm produce, farm accommodation or a farm service at a nominal rate, look at our section Advertise your Farm. Please feel free to contact our marketing department at: [email protected] for any further enquiries.